From the unconventional and awe-inspiring to the hilarious and heartwarming, here's a look at some of the most interesting photos, videos and stories that have our newsroom talking today. What's capturing your attention, filling your inbox and cluttering your Facebook/Twitter feed? Comment below with the stories you're talking about or tweet them to us using #InstantIndex and they could appear on World News. 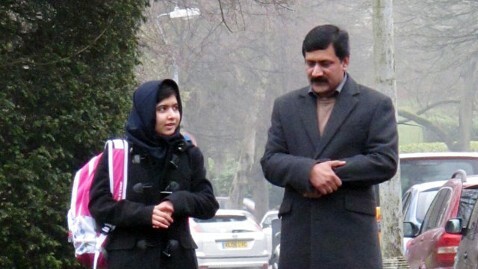 Back to School Malala Yousafzai returned to school today for the first time since being shot by the Taliban in October. Lotto Winner A hard working Chicago janitor has won a $1 million lottery jackpot. Hakmat Yalda moved to America from Iraq five years ago and worked two janitorial jobs to make sure his sons had an opportunity. He purchased the lucky ticket at 7-Eleven and says his first purchase will be a new house.